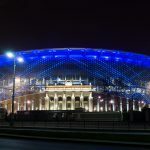 The YEKATERINBURG ARENA STADIUM (Central) — the whole country is in anticipation of a grand event – the World Cup on football. 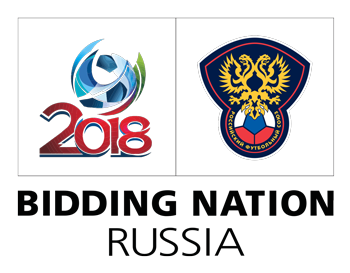 Among the cities that will host the matches of this tournament, is Ekaterinburg. 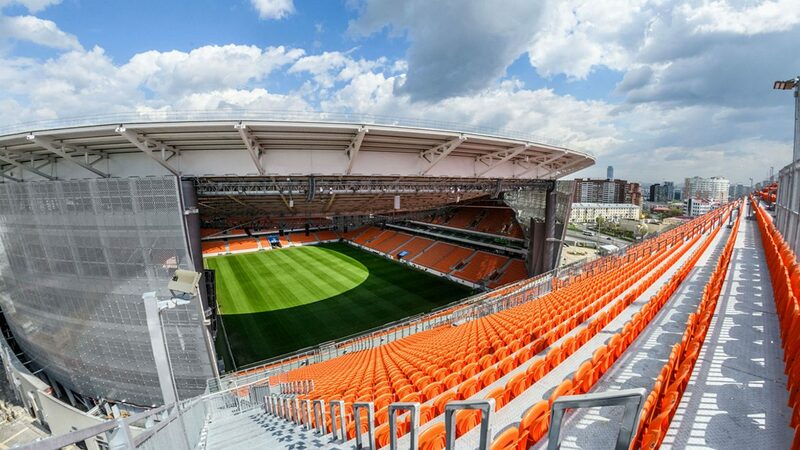 In this city there is a stunning stadium called “Ekaterinburg Arena”. Now it has become a football stadium. 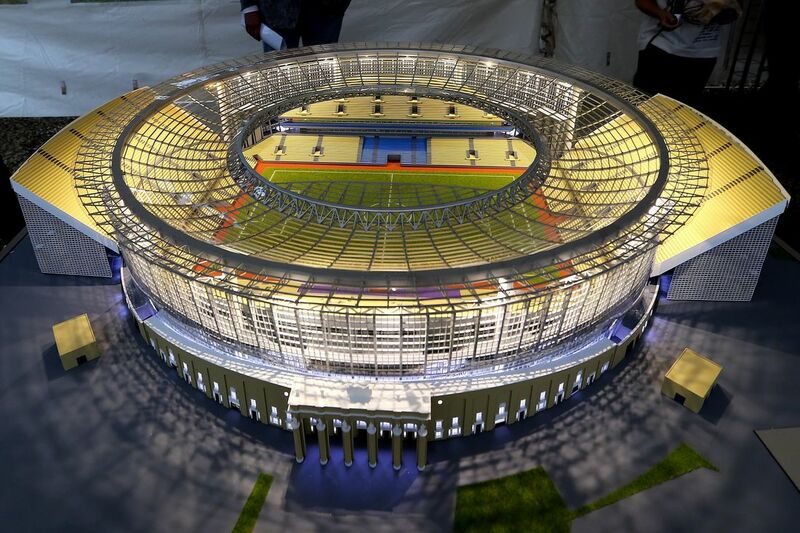 In order for the arena to meet the requirements of FIFA, in 2017, the stadium was reconstructed. This building is included in the list of cultural values ​​of the whole region. In 2015-2017, within the framework of the stadium reconstruction, a new volume was built in its walls. The canopy covers all spectators. An exception is the place of temporary construction. 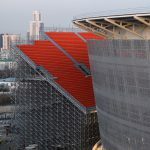 It is interesting that in the “Yekaterinburg Arena” invented to hold the World Cup so-called temporary seats (retractable). Not a single one of our fans saw such enterprise and ingenuity. Canopy is a lightweight and not high construction, which is made of metal. In the arena that is an open part for games. 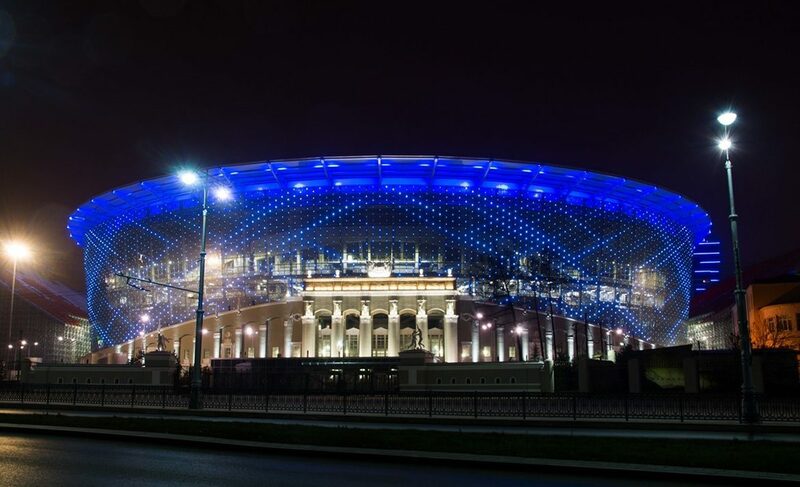 In the evening, the arena shines beautifully, emphasizing the uniqueness of the appearance of the structure. 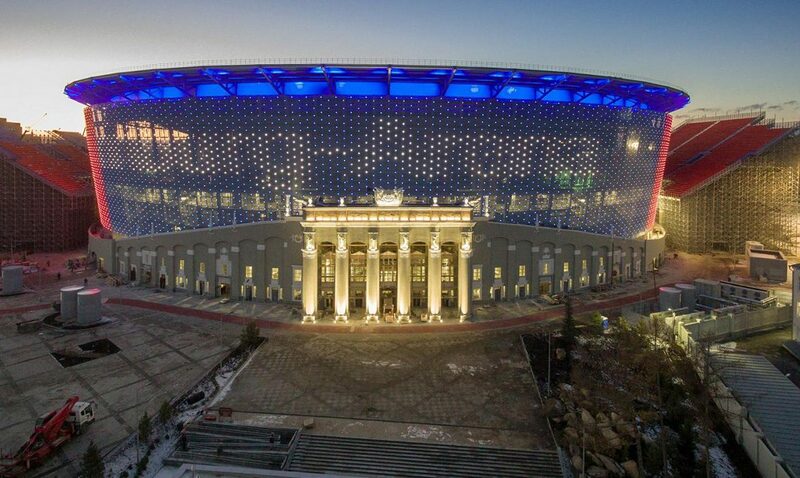 The stadium is an architectural monument of Stalinist neoclassicism. 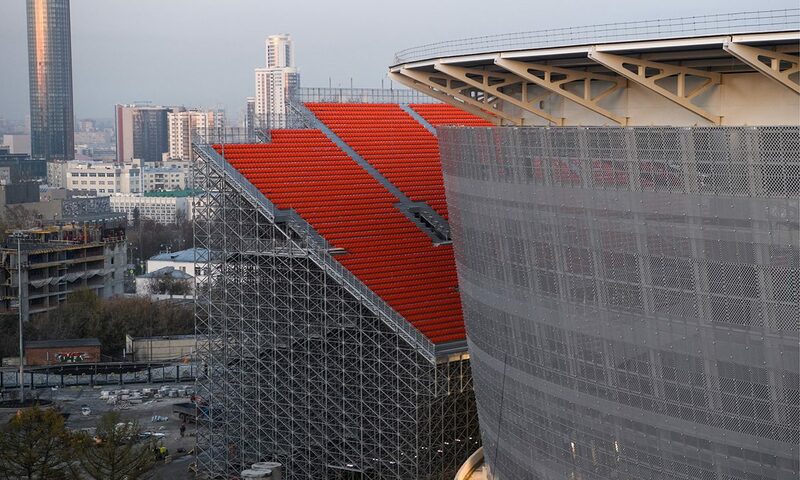 The structure has an incredibly large sports section, which was formed with the help of the stands. The arena has asymmetric walls. During the construction of this structure, decorative Helen was painted on the walls, which were inherent in that period. Luxurious columns give the stadium wealth and charm. From the facade of the arena there are sculptures. In 2011, the stadium lighting was reconstructed. During the reconstruction of the arena, many forms of architecture were lost. Vases and a small playground were removed. In its place now is parking. 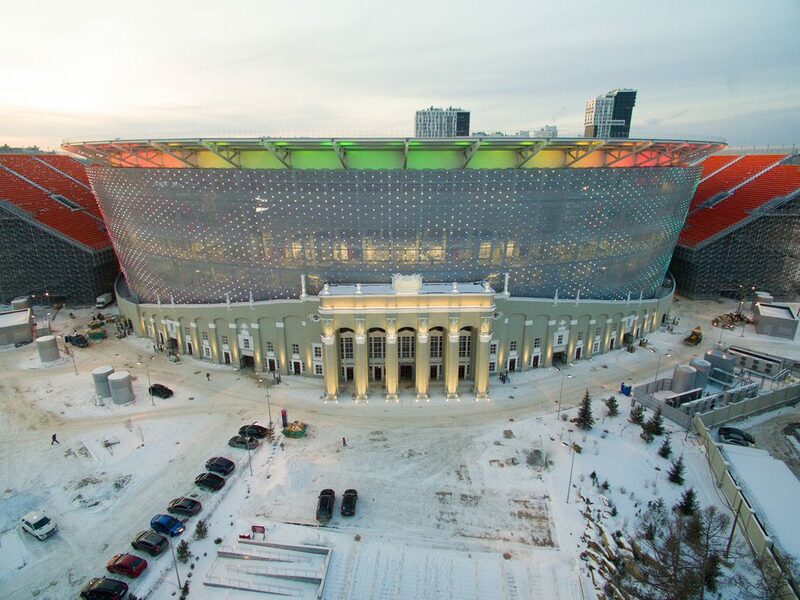 “Ekaterinburg Arena” is a cult place. This is not just an architectural structure, it is the history of the whole city, the value of the entire country. It was not only a venue for various competitions, but also was a recreational, entertainment, cultural center. This is one of those few stadiums that have been reconstructed, and not built a new one. In 2014, the authorities estimated the cost of increasing the number of seats in the stands to 35,000 in the amount of 6 billion dollars. In 2015, 12.7 billion rubles were allocated for the reconstruction of the old structure. 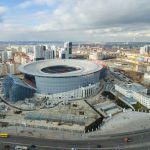 After the end of the 2018 World Cup, Ekaterinburg Arena will be used as a sports and entertainment complex. 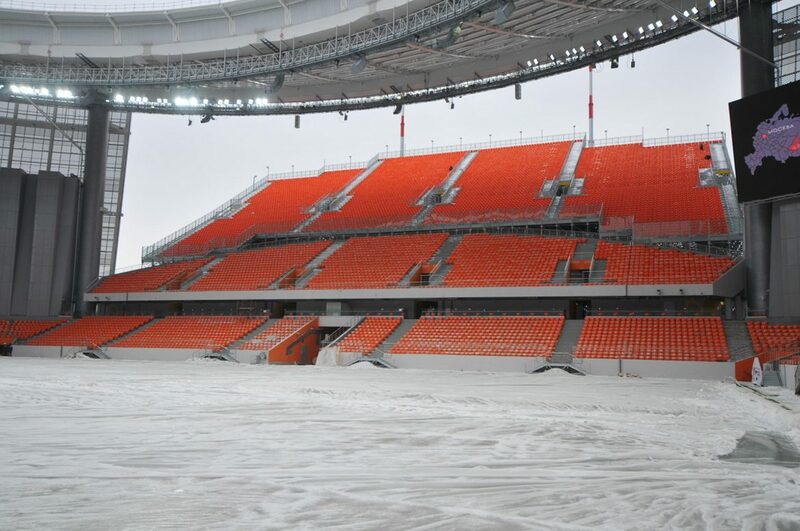 At the moment the stadium is completely ready for the matches. The area around the arena is refined. 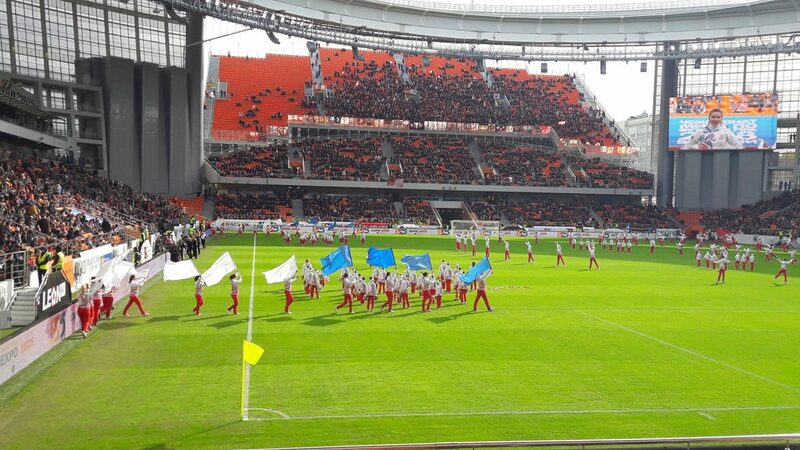 Stadium “Ekaterinburg Arena” has a great history, so it is interesting in itself. 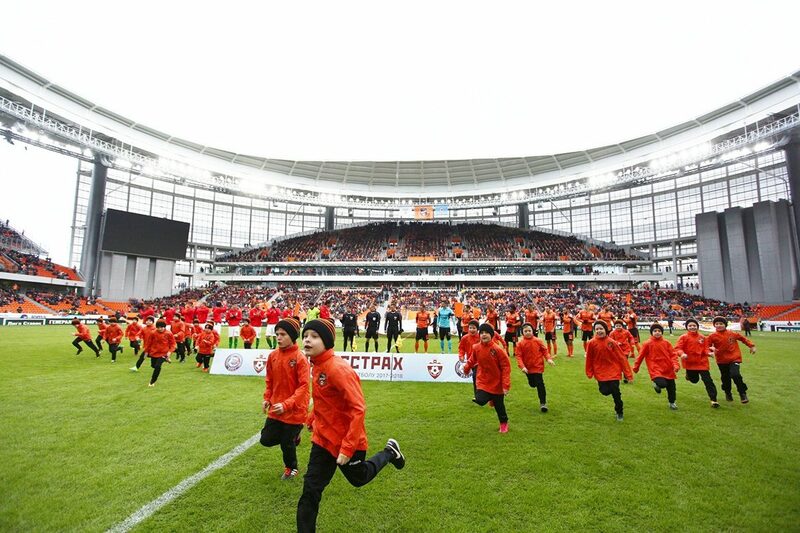 This is one of the few stadiums in the world where the latest technologies were used in the reconstruction. 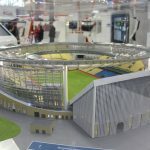 So, let us consider the most interesting moments connected with the modern stadium. The main pride of the stadium is the roof. It was a little concave. This idea first troubled the fans who were worried that the football field could flood with water under adverse weather conditions. 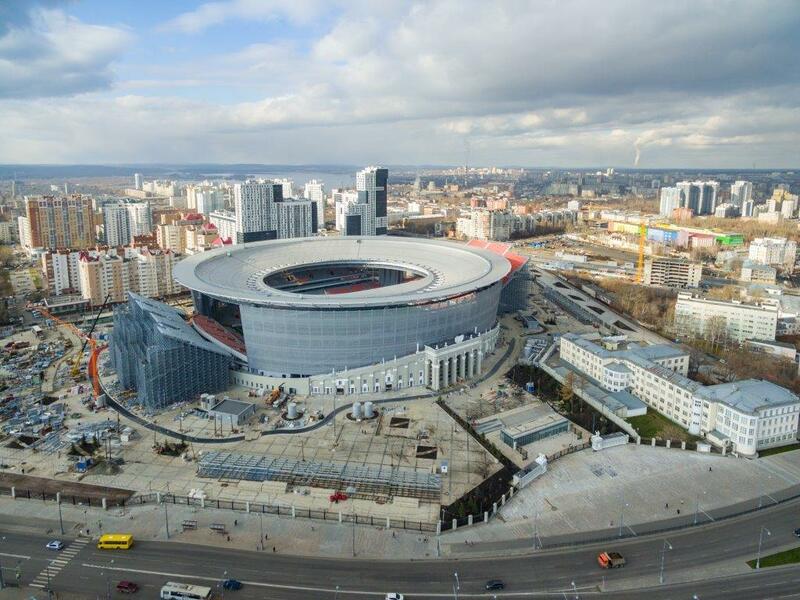 Responsible for the construction of the arena convinced the fans that there is a high-quality and reliable drainage system in the form of special pipes upstairs. The water will descend through these tubes and go to the ground. The field will remain dry. Therefore, I can from football players and viewers will only have fun. Innovative portable design. 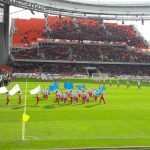 The main part of the tribune receives 25 000 spectators, and thanks to the installation of the folding tribune, the capacity is increased to 35 000. In addition, this decision turned out to be economically more profitable. 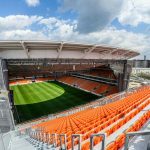 Since there will not be teams playing at the stadium after the World Cup, it would be absolutely unjustified to initially make a large capacity. In the future, it does not come in handy. If there is a need for additional places, for example, a concert, then such a tribune will be added. The only small disadvantage of this design is that the spectators in the upper matches will be in the open air. In order for players to be comfortable on the football field, the lawn was asked with special threads. Simply put, football players will not be able to peel off the planted grass with boots. Large size screens. 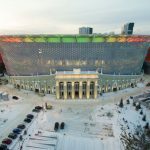 Even in this issue, “Ekaterinburg Arena” has overtaken other stadiums. It is clear that in each arena there is a multimedia equipment. But here all the same screens are very different from the others. Viewers will be able to watch the reps of goals, dangerous moments, etc. Virtually all parts of the arena are made of waterproof materials. This is especially true for the stands, which will remain dry in any weather. 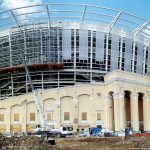 Maximum preservation of the historic facade of the arena, which the inhabitants of the city are proud of. 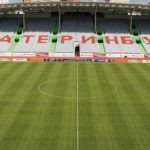 Among the local residents there were rumors that a week before the first match, the reconstructed stadium was consecrated so that no one knew about it. However, the information was not confirmed, remaining at the level of rumors. 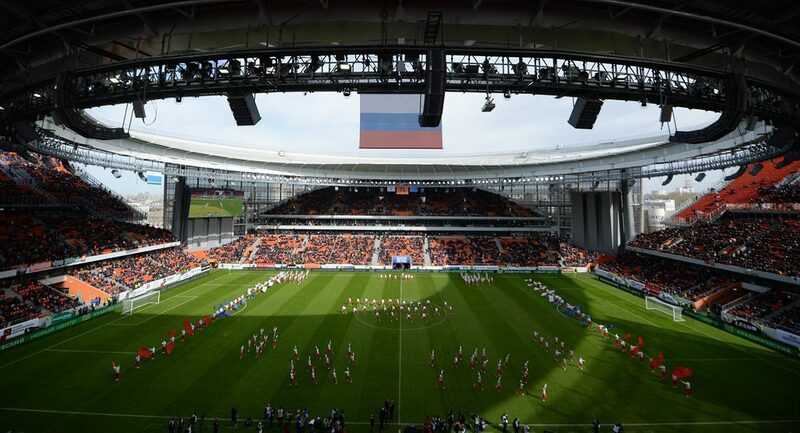 During the visit to the stadium, it is necessary to observe the established requirements regarding the prohibition to carry a certain category of objects, as well as the rules of conduct in the stands. It is best to come to the stadium early. It is necessary to have a ticket and a document that proves the identity (presented on demand). Are taking places, according to the tickets purchased. With you, you can bring personal things and items to support your team. 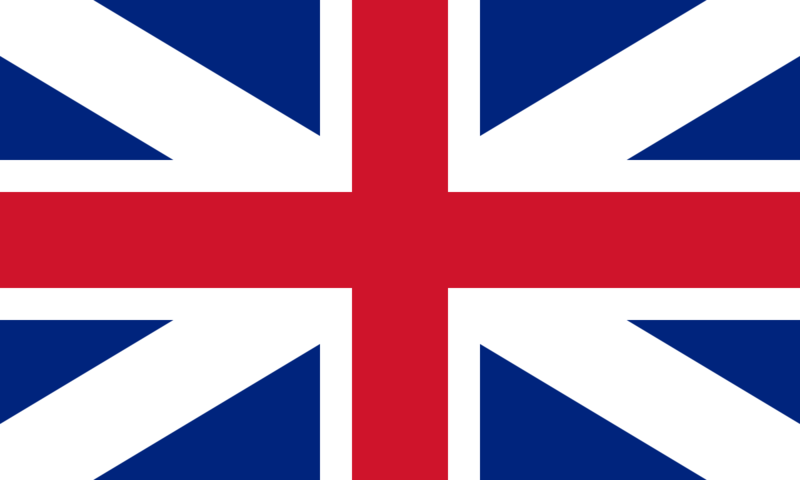 Purpose: sports, as well as various entertainment events of any scale. 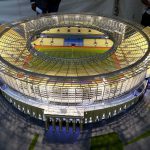 After the end of the World Cup will be designed, primarily, for cultural and entertainment events. 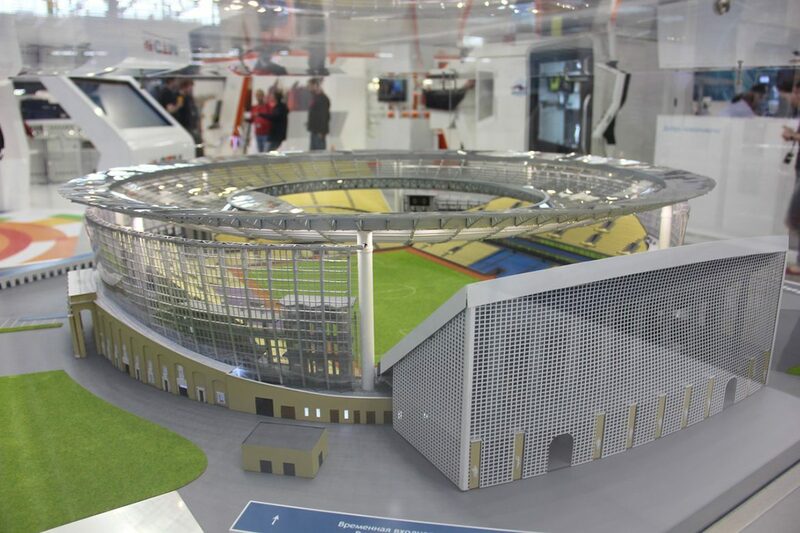 Area of ​​the stadium: 31 000 square meters. 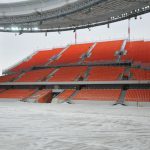 The number of seats in the stands: for the World Cup – 35 000 seats; after the end of the mundialya – 25 000 spectators. Number of stands: 4 and retractable stands. Number of press places: 500. Number of places for people with disabilities: a whole sector is allocated. Opening hours: Monday to Friday from 8.00 to 21.00. During the World Cup, the timetable for public transport will change significantly. At the end of 2017 a new line of trams was launched, which is close enough to the stadium. Trams. Near the stadium there are trams of the route 2, 18. Metro. The station is called “Area of 1905”. This metro station is located at a distance of 1.5 kilometers from the stadium. The car. It is not recommended to get to the stadium and personal transport. Movement before the matches will be limited. Visitors of matches have the opportunity to purchase season tickets for car parking in the stadium itself. The safety of fans in the stadium is at the highest level. The arena is protected by a throughput system. A lot of measures have been adopted, which do not allow emergence of emergencies, as well as terrorist acts. Installed systems very quickly transmit a signal about what is happening in the arena of the dispatching service. Therefore, viewers can feel themselves calmly. 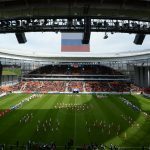 Every fan should visit the stadium “Yekaterinburg Arena” and feel the atmosphere of not only wonderful matches, but also see the beautiful appearance of the stadium, which stores the history of the city.